Sunday - By special appointment. We combine facial rejuvenation, skin and body tightening, hair removal and beauty treatments with limited episodic clinic services. We Speak Ilocano, Spanish, Vietnamese and Tagalog! 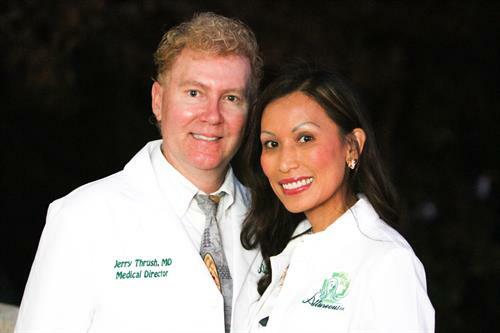 Dr. Dr. Jerry Thrush, M.D. Take the Black Mountain Rd. Exit from Highway 56 and turn north. Turn right into the parking lot just after the first light. We're located in the Phenix Salon Suites.